If you live anywhere in the greater Dallas-Fort Worth metroplex or the state of Texas, and you suffered an injury or lost a loved one due to another party's negligent actions, you can turn to The Parks Law Firm in Grapevine, Texas, for the quality representation and effective advocacy you need to obtain the settlement you deserve. Backed by more than 40 years of legal experience, our law firm's founder, attorney Clyde Parks, has achieved unprecedented success fighting for the rights and entitlements of innocent accident victims and their families. No matter how complex your situation, Mr. Parks and our dedicated team of experienced legal associates are fully committed to delivering the personalized, compassionate counsel you deserve as we work hard to secure the maximum amount of compensation for the damages and losses you incurred. We can also help you find medical treatment at no out-of-pocket cost to you, whether you have insurance or not. Our law firm has earned a reputation as one of the top in the region for unmatched service and support to those in need. In addition, we are also one of the leading law firms in the area that handles personal injury and wrongful death cases arising from accidents caused by drivers impaired by drugs or alcohol. Do not delay in pursuing your claim. 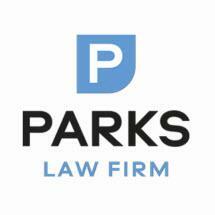 By contacting The Parks Law Firm as soon as possible after your accident and taking advantage of our free case evaluation, you can begin the process of securing a brighter future for yourself and your family. We are bilingual in English and Spanish to better communicate with our Latino clientele.